Here is a video shot on Halloween night last year of the final performance of Seaside Haunted Theme Park. 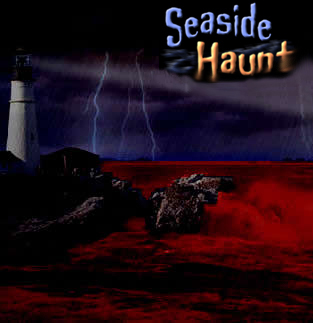 Formerly known as "Seaside Haunt," this Halloween attraction was under new management in 2008; unfortunately, it failed to live up to its formerly glory, emerging as but a pale ghost of its former self. To be fair, we arrived late, just before closing time, so the ectoplasmic energy was no doubt running low. 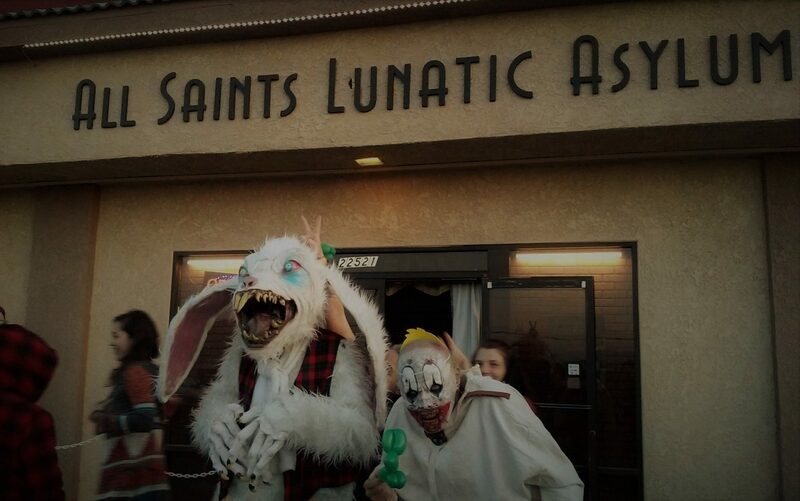 Instead of one maze, Seaside Haunted Theme Park offered two: Mutinty to Purgatory and Blood Beach Haunted Mansion. Each begins well, with large rooms that impress with their sense of scale. Most haunts tend to be small and cramped, to save money on building large sets, so this was a definitely advantage over the competition. The Blood Beach Manion maze even included a convincingly realized attic set, dimly lit and ominous, that had us expecting great things. Part part of the Spooky House family of haunted houses (which also included Fearplex and Old Town Haunt), it featured some familiar sets and decorations that used to be part of the three separate mazes that Spooky House ran back when they were located in a mall parking lot on Topanga Canyon Boulevard. It was nice to see them hauled out of the mothballs and put back to good use, but along with them came an unfortunate handicap that the Spooky House haunts had overcome in recent years: a tendency to feature lengthy elaborate sets with few actual scares. 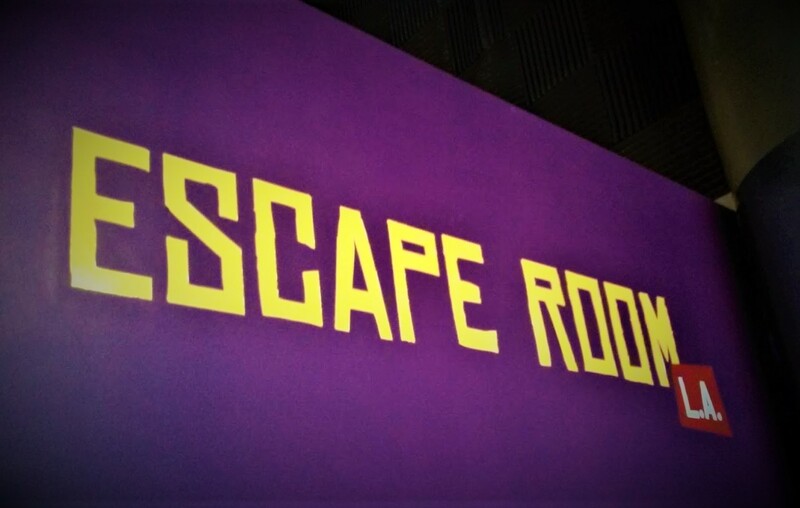 The result was a bit like walking through a spooky museum - fun but not always as frightening as it should be. Our overall impression was of a bunch people trying hard but stretched thin to the point of flagging enthusiasm. The proprietor even described to us the strategy he used to mitigate the inabiltiy (due to cost and time) to fully decorate the interior: starting each maze off as strong as possible to instill fear and anticipation, so that the customers would be on edge throughout the rest of the journey. It is a good strategy, and both mazes had their moments. Nevertheless, we came away feeling that the best bones from each of them could have been better combined to create one great big skeleton that would have been twice as effective as splitting them into two separate piles. ← Skull Kingdom crew to help Old Town Haunt this Halloween; Seaside Haunt voyages to Queen Mary?